Stephen has successfully raised funds & reached the goal amount. We thank all the 512 generous supporters for their kindness. 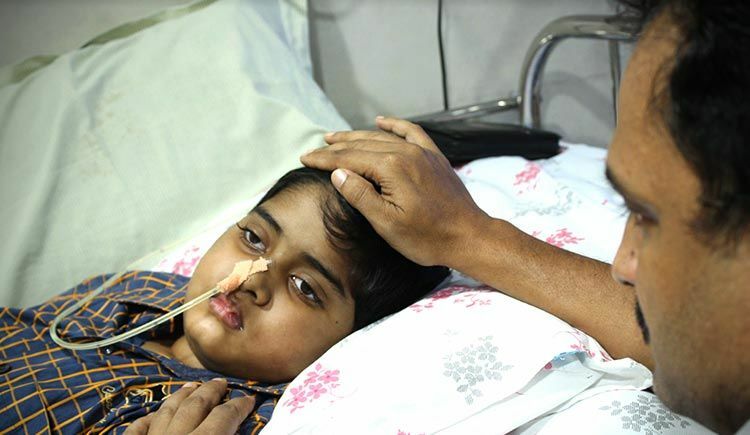 Eight-year-old is suffering from severe brain tumour. We need help. Feel free to ask Stephen for a new update on this Fundraiser. We are sorry to be the bearers of the sad news that beloved Ebenezer left us for heavenly abode. We have all loved him in life and let us not forget him after his death. Words do not seem enough to say how much we appreciate your outpouring of love, support, and prayers. They have been heard and appreciated. It is with a deep sense of gratitude I thank you all for the generous support made towards his treatment. May his soul RIP. Thank you for your prayers and well wishes. Your support has kept encouraging us to fight this battle. Ebenezer was discharged from the hospital a few days ago and we've brought him home. 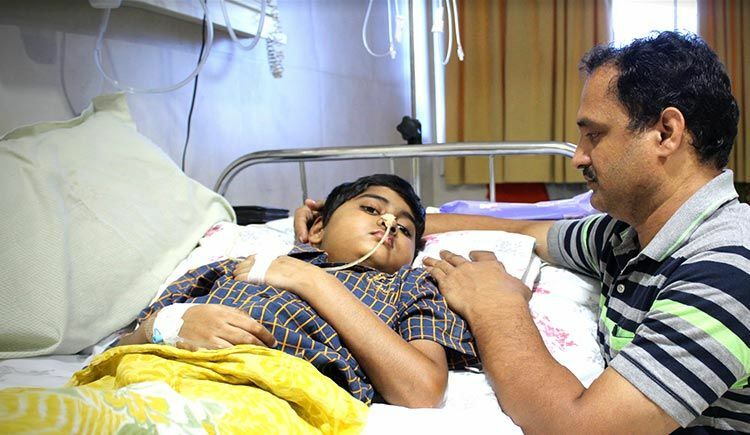 He is undergoing palliative care treatment to recover. There seems to be no improvement in his health yet, as he is unable to move his hands, legs and tongue. However, we aren't losing any hope because God is with us and he helped us come this far. Our son undergoes a check-up at Rainbow Children's Hospital and we are consulting Dr. Natraj and Dr. Laxmi Narayan. Along with steroids, he is having his daily medication. Please pray for a miracle to happen. God bless you all. The memories of Ebenezer and I playing football in front of the house flashes through my mind. The smiles, the laughs, I miss them all. I yearn to hear his voice again, to speak to him like before. It wrenches my heart to see him like this. Our lives have changed since his diagnosis and all we want is for our son to be normal again. 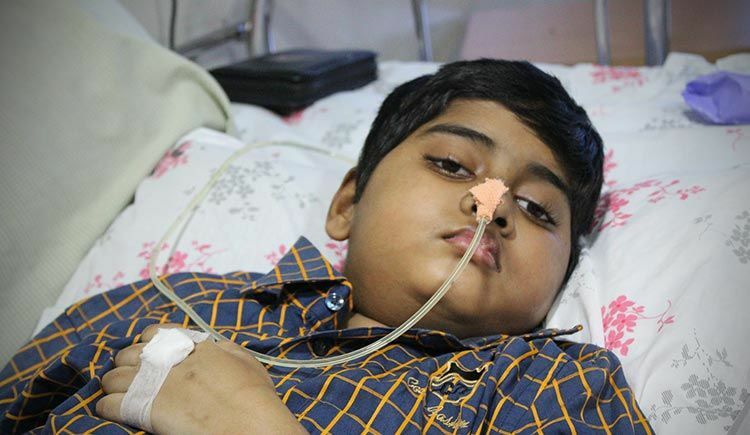 I need Rs 8 lakhs (Rs 12,300) urgently to continue his radiation therapy. I am Stephen from Chennai, father of Ebenezer Immanuel. My eight-year-old son has been diagnosed with Ponyine Glioma, which the doctors say is incurable but are striving to save my son and improve his quality of life. Ebenezer suffered from a severe headache this year in April and the local doctor referred to another hospital for further diagnosis. 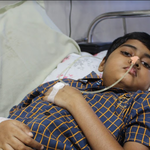 We took him to various hospitals including the Hindu Mission Hospital, Grace Multi-speciality hospital, and it was in SRM hospital that his scan was taken and he was diagnosed with tumour in brain. 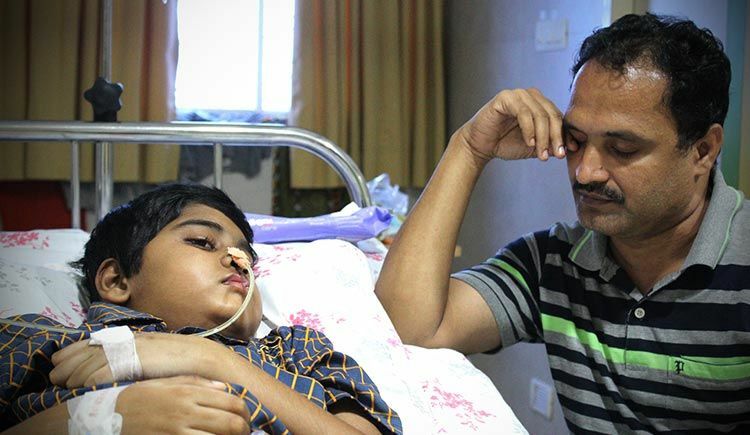 By the time we took him to Apollo hospital for radiation, his left limbs ceased to work, his speech stopped, and he then went into unciousness. We panicked and rushed him to Apollo where they immediately put him on the ventilator as his breathing was very low. He got a little better and was discharged after a few weeks. Within 10 days of discharge, again his condition worsened as he didn't open his eyes, so we rushed him to Kanchi Kamakoti Hospital. He's currently undergoing radiation therapy. Our house is miles away from the hospital; so we have set up base there and this hospital has become our home. We have no income for now. I was unable to go for work for the past three months as it requires at least two people to take care of my son. I was a manager at an automobile company and my wife is a home maker. By great difficulty we arranged for Rs 11 lakhs ($ 16,900) in the past months by the help of our relatives and friends. We urgently need to arrange for Rs 8 lakhs (Rs 12,300) for his further treatment and see no other avenue left open to arrange for funds. Please help us it’s a sincere request. Your message will be directly emailed to Stephen and you will receive his/her response on the email address entered below. Your message will be directly emailed to Ebenezer and you will receive his/her response on the email address entered below.